Last week’s devastating loss to Trinidad & Tobago and all its ramifications represent a major step back for soccer in the United States. It also represents, however, a unique opportunity to take giant leaps forward. All areas of the sport will now be examined and addressed. Importantly, one of those areas is the structure of professional soccer. Part of the solution is a new way to structure the domestic pro game with the creation of a new pyramid and other advancements being instituted by the National Independent Soccer Association (NISA). Prior to the Men’s National Team’s ticket to Russia being withdrawn last week, a new path forward for professional soccer had already been germinating in America. That path led by NISA includes those elements above which are common in international soccer, but literally foreign in American soccer. The new pyramid will be independent from Major League Soccer and the United Soccer Leagues. It will replicate the structure of pro soccer around the world using promotion and relegation as a means to incentivize player development and reward on field success in a meritocracy. NISA advocating for academies and training and solidarity payments along with the motivation of promotion and fear of relegation will lead to lower division clubs adding their own academies then investing to improve facilities and training staff. In addition to utilizing promotion and relegation, the new pyramid will be different from the existing MLS/USL pyramid in its corporate structure, its governance and its policies on intellectual property, fan ownership, club services and league growth. Once fully developed, the new pyramid will consist of seven levels with promotion and relegation connecting them all. The new pyramid will allow local men’s clubs to advance through three levels of amateur soccer into a new semi-pro fourth level of professional soccer, then third, second and ultimately a new alternative first division league. The path of meritocracy will be fueled by hundreds of millions of dollars of direct and indirect investment from broadcasters, sponsors and club owners. Those club owners can include fan ownership groups that would mitigate potential threats to move teams to new markets. They will all be motivated to support this new structure. This new pyramid allows small markets to dream big, allows communities and fans to own their own clubs and allows those clubs to advance to the highest levels of club soccer through on field success. The dream is real around the globe and the pieces are falling into place here in the United States. The vision is crystallizing in a manner which is entirely inclusive. This vision is being laid out and soon will be executed to bring relevance, real competion, and commercial connections to thousands of amateur & professional soccer clubs throughout the United States. This article is about that vision and about that plan. We conceived a new third division league last November as a lynch pin to connect multiple leagues commercially and competitively to create relevance for all participating teams and leagues. The leagues use promotion and relegation and unified broadcast, sponsorship and marketing elements to aggregate inventory, increase interest in the competition and value for its commercial partners. The concept was proposed to the NASL and NPSL to move them from independent island leagues to connected leagues with relevance in the greater American soccer landscape beyond their own membership. The proposal to link the leagues was received positively, but neither party was able to take on the challenge to launch the link league itself. At the request of both the NASL and NPSL, Rebel Nest Sports, led by myself and business partner Jack Cummins, and sports industry consultants and investment bank Club 9 Sports took on the mission. When first conceived, NISA intended to create an alliance with the NASL for NISA to serve as the lower Division 3 league connected to the NASL’s Division 2 league. There were many discussions with NASL leadership and while both parties desired that goal, the NASL and NISA were not able to agree on terms prior to last month’s US Soccer board meeting. NISA remains desirous to have a formal relationship with NASL as its Division 2 partner and NPSL as part of this new pyramid. We are also prepared, if necessary, to create Division 2 and semi-professional Division 4 leagues in the near future independently, that will link with NISA’s Division 3 league and operate under one governance structure. The teams in what we can refer to as NISA 1, NISA 2 and NISA 3, will be independently owned. The club owners will have full control of their league’s governance and club owners – not third parties – will have majority ownership of the league shares. This open system pyramid will benefit US Soccer via an increased commitment to player development by pro clubs, improved quality of the national team, and growth in youth soccer participation numbers. The heightened interest in soccer as a spectator sport that pro/rel generates, especially in smaller markets, will lead directly and indirectly to a higher number of kids playing the sport. According to the Deloitte study on pro/rel, youth participation has plateaued at 3.1 million in the last 15 years. The 15-year period before that saw a meteoric rise from 1.2 million to 3 million. 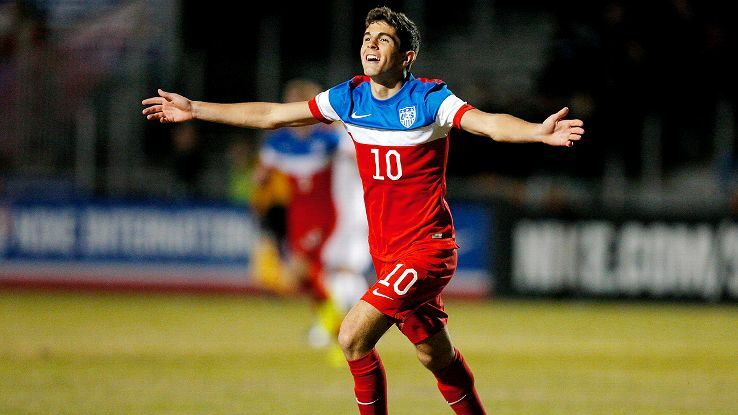 The U.S. men’s national team would benefit from more player-development activity by clubs. Competition in professional training sessions and games at all levels would be fiercer and more frequent, leading to better players and ultimately to better results for the U.S. men’s national team. This is a thorny topic with many variables, but broadly speaking, it is not unreasonable to suggest that with unrivaled resources and one of the largest pools of youth soccer players in the world, the U.S. should be outperforming its position at №28 in the FIFA world rankings. The ability to convert social soccer spectators into engaged soccer spectators is critical for broadcasters and sponsors, who would see higher spectator interest in professional soccer in all divisions translate to more eyeballs watching games on television, online, and in person. Engaged fans are much more likely than passive or social spectators to watch soccer games on television or online and to become passionate supporters of the sport’s sponsors. These quantitative and qualitative improvements in pro soccer viewers and spectators will allow broadcasters to charge more for advertising inventory and teams and NISA to charge more for corporate partnership inventory. At present, lower-division players can only compete in the top flight if they are noticed and signed by a team in the first division. Pro/rel will offer them the ultimate reward for playing well. The overall quality of American players will undoubtedly rise as more of them will be able to train in professional and more competitive environments from a younger age. NISA has eight initial applicants and is in discussions with dozens of other market representatives who share in and have contributed to the development of this vision and plan. The barriers to implement the new open system pyramid are internal – time and money. We have the verbal commitment from US Soccer’s executive leadership and Board of Directors to move forward with the plan as long as the teams meet the designate standards. The greatest challenge is securing the investment for the initial group of necessary teams in time to allow a proper launch ramp-up period for both the teams and the league. Most, but not all, of the applicants are ready to move forward for a 2018 launch. If eight or more teams are prepared to launch by mid-November, we will move forward seeking sanctioning from US Soccer. If not, NISA will launch in July, 2018 after the World Cup in a single table season. Once there are 20 or more teams, the single table will be used to determine which ten clubs are promoted to NISA 1 in 2020 while the remaining clubs will play 2020 in NISA 2. The result of the NASL’s request for a temporary injunction will likely affect the fate of the NASL and its teams. If the injunction is granted, NASL will likely continue play with provisional Division 2 sanctioning. If the injunction is not granted, the NASL may dissolve allowing its ten current member teams and several prospective teams to seek a new league, which NISA would be an option. While the door to the 2018 World Cup was slammed in our face last week, another door is opening. Support from all sectors of the American soccer community for pro/rel has never been higher and the cold, hard results from the hexagon emphasize the need to implement it now. If we do, we will contribute to giving US Soccer its best chance to compete for a World Cup Championship when Christian Pulisic is 27 years old. Implementing this vision and this plan may be Christian’s – and the United States’ – best chance to get back on track towards global soccer competitiveness. NISA intends to operate as a single table in its first season and in the future until a minimum of 20 teams are in the league (as early as 2019). The teams will play a schedule of 32 games using an early spring through fall schedule. All teams that meet NISA 1 minimum standards will be eligible for inclusion in higher level (NISA 1) once the competition divides into two levels. NISA minimum standards will meet or exceed US Soccer standards for each division. NISA will be divided into two levels when 20 or more teams total have entered. The top ten teams the previous year will be in NISA 1 and the rest will be in NISA 2. NISA 1 will be fully populated at 20 teams and NISA 2 will be fully populated at 24 teams. A third level (NISA 3) is planned and will operate as a lower division professional level with budgets anticipated between $300k to $700k annually. This level will grow with regional divisions of eight teams each and a maximum of eight divisions for a total of 64 teams. Amateur 1 would have national amateur leagues such as NPSL and UPSL, Amateur 2 would have regional or statewide leagues and Amateur 3 would have local amateur leagues. These levels will include existing amateur leagues and teams in a new hierarchy that would not be owned or controlled by NISA, but would include an alliance with promotion and relegation between NISA 3 and Amateur 1. A new US first division level, NISA Premier with a total of 20 teams, is intended to emerge out of NISA and take its place in the structure above NISA 1. This level would be supported via large broadcast rights agreements, national sponsorships and high net worth investors with access to stadia that meet US Soccer first division minimum standards. NISA is publicly committing to making pro/rel part of its future. Once NISA splits into NISA 1 and NISA 2 with 20 or more total teams, two teams will be promoted to NISA 1 annually without relegation initially to NISA 2. Relegation of two teams from NISA 1 to NISA 2 will begin once the NISA 1 level has 20 teams. Promoted NISA 2 teams must meet minimum NISA 1 standards. Once fully populated, NISA 2 will promote two teams annually and receive two relegated teams from NISA 1. If a team declines promotion due to financial or any other reason, the next team in the standings will have the option to be promoted. The board will create reasonable parachute payments using available funds to relegated teams and annual solidarity payments to all teams in the structure not in the top level, NISA 1 (or NISA Premier once it is added). These payments can be earmarked for academy programs to ensure reinvestment in the sport. Funds for these payments will come from a combination of top tier team assessments, league broadcast fees and league sponsorship revenue. It is anticipated the commercial sources of revenue will increase due to the aggregation of markets and interest in promotion and relegation. Additionally, a “promotion fee” could potentially be assessed to promoted teams. NISA is advocating for, and assisting clubs implement inclusive fan ownership in the approximately 2/3 of U.S. states where crowdfunding equity to non-accredited investors is legal. So far, five of NISA’s eight applicants are working to include fan ownership between 10% and 20% of their teams all with a voice on their boards. Similar concepts are used worldwide. Legislation for non-accredited crowdfunding equity was only adopted by Congress in 2012. It is time to mainstream this practice with professional sports teams. Fan ownership will truly make teams community assets and make it more difficult to relocate a team. Multiple NISA applicants share ownership with professional clubs in other countries. They intend to use their NISA teams to develop players from both the U.S. and their home country. Academies will be “professionalized” and apply for inclusion with the US Development Academy. Practice with professional sports teams. (2) for potential domestic U.S. player sales and signings. * Details listed here of the NISA pro/rel structure and payments are examples and subject to revision and approval by the NISA Board of Governors.